On Thursday 31st January, Certas Energy will be holding a ribbon-cutting ceremony to mark the official opening of its new bunker refuelling site at Holyhead in North Wales. 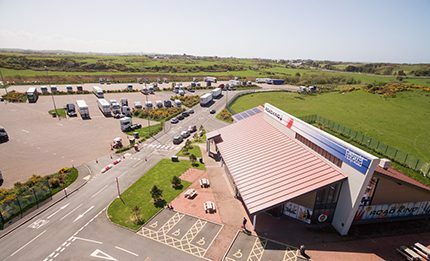 The bunker site, which is the island of Anglesey’s only dedicated HGV refuelling facility, is located alongside the existing RoadKing truck stop. “We’re delighted the site is now open, and we’re looking forward to meeting customers at the launch event,” said Andrew Goodwin, Certas Energy’s national bunker manager. The Holyhead site features a high-speed refuelling system, which dispenses fuel at a speed of up to 120 litres per minute, enabling up to four HGVs to refuel simultaneously. This ensures that the site will be able to deal with a high volume of customers, even if local traffic levels increase beyond expectations. “Holyhead is the second development in our continued partnership with Roadking; we anticipate the same level of success we enjoyed with our first collaboration, the Hollies Truck stop at Cannock,” added Andrew. “We believe that this new site will provide a one-stop destination for the haulage community,” said Nicholas Whatmore, director for Roadking.